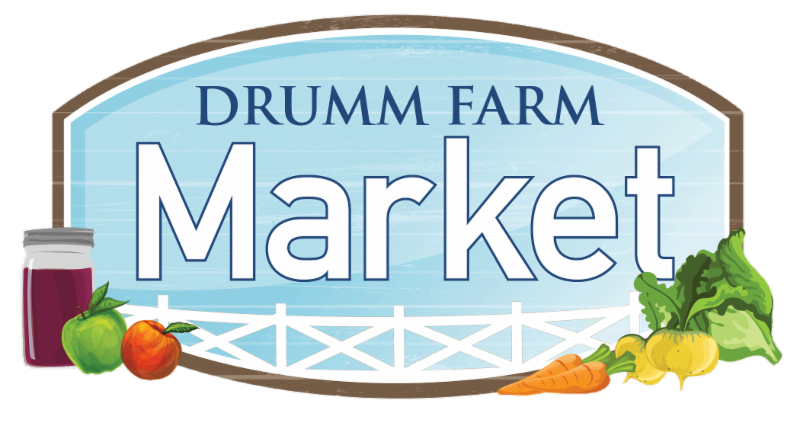 Drumm Farm Market is open year round on Saturdays, 8am-12pm. The next few months we will have amazing tomatoes, lettuce, asparagus, turnips and everyone's favorite KALE. Come early for baked goods including our famous cinnamon rolls, scones, brownies and giant cookies. We also have a variety of meats including pork, lamb, and goat! During March, mention Drumm Beats and get 10% off your purchase. 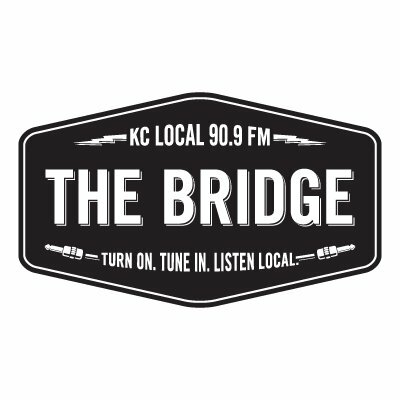 Our Executive Director, Brad Smith, will be on live with 90.9 The Bridge for Giveback Friday at 7:30 a.m. on Friday, March 15! Be sure to listen in. 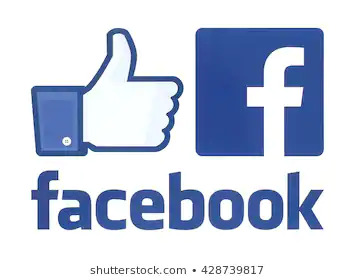 Invite your friends to "like" Drumm's page. Share Drumm's posts to your personal page and comment. Post on your personal page and tag Drumm or mention Drumm by typing @DrummForKids. Share Drumm's story and mission with everyone! With a birthday celebration of Andrew Drumm on February 6, Drumm Farm kicked off the beginning of our 100th year serving young people. There have been nearly 2,000 youth impacted by the gifts set forth by Drumm in 1919. We are pleased to announce the Drumm “Century Celebration” that begins April 26, 2019 at our annual Benefit Dinner and culminates with the Drumm Farm Hoedown on October 12, 2019. 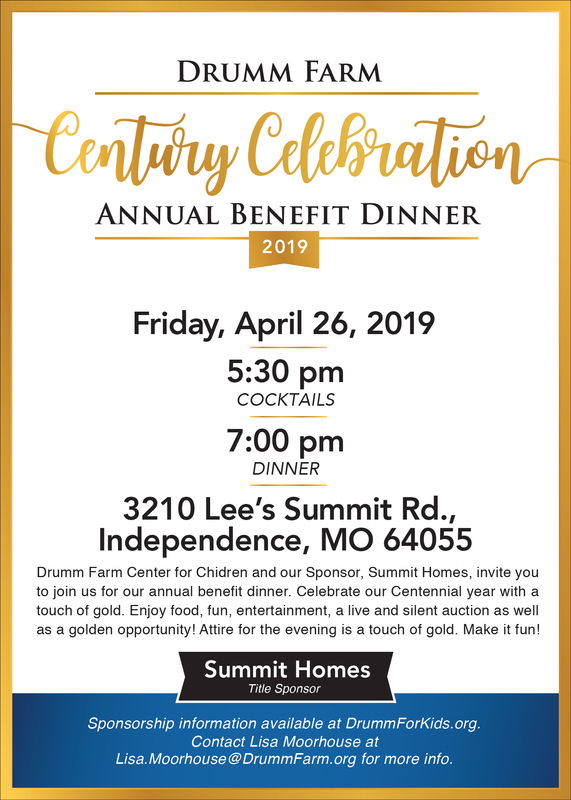 With thanks to our "Century Celebration” Premier Sponsors, Second Nature, Summit Homes and Truckmovers, this year’s Drumm Farm Hoedown will include dedications of a new Drumm monument and the release of an Andrew Drumm biography written by former KC Star reporter Brian Burnes, with a foreword by Pulitzer Prize recipient and Drumm Farm alum Richard Rhodes. As we begin a year of thankful consideration of our numerous volunteers and supporters, Summit Video produced a short film of the Drumm campus. Viewers will get a sense of this grand place, one that Andrew Drumm must have known would become a place of healing and hope for children. Enjoy the video! 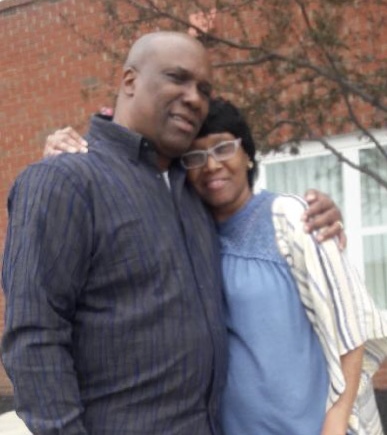 Robert and Cynthia Wade have provided a loving home to children in foster care for more than ten years. Their motivation comes from observing children in difficult situations, and their focus is helping young people grow as individuals as a part of their loving and caring family. The Wades have been happily married for 18 years and have already become an integral part of the Drumm community. 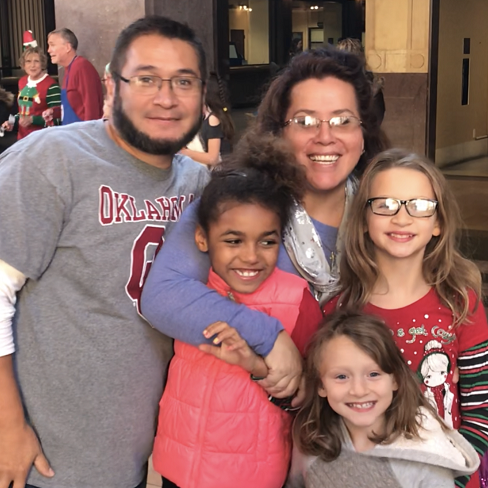 Tomas and Sandra Cervantes believe kids are a greater blessing for them than they could ever hope for and fostering is an extension of love. The Cervantes have spent many snow days this winter in the Dr. Ray Morrison library. Drumm Farm has become a huge support in their life because of it's prevailing sense of community. The Cervantes have been foster parents for six year and married eight. Drumm Farm is excited to welcome Shakera Garrard to the staff as the new HOME Program Therapist. Shakera has a bachelor’s degree in psychology from Lincoln University and a master’s in clinical mental health counseling from Walden University. She has worked previously in organizations focused on domestic violence with adults and children who are overcoming the trauma of abusive relationships. Shekera states, “My goal is to create a safe place for children to be able to express their feelings and work through the negative impact of past experiences. 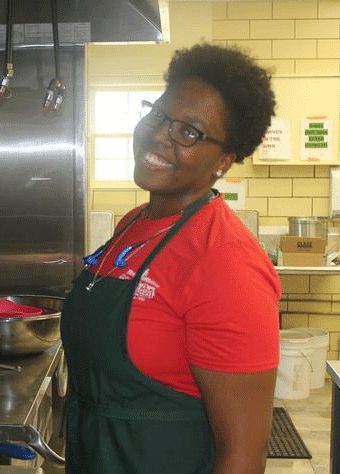 It is an honor to work for an organization that prides itself in creating a loving community of hope and healing for children and youth to call home.” Shakera is already having a wonderful impact in her first month at Drumm Farm! Progress continues on new apartments near Independence Center. We are fortunate to have green houses to continue the growing season. Look for sweet potatoes, onions, zucchini, cucumbers along with a wide variety of butters and jams. Come early for baked goods including our famous cinnamon rolls and giant cookies. We also have a variety of meats including pork, lamb, and goat. During September, mention Drumm Beats and get 10% off your purchase. Thank you to all our dinner sponsors and guests! With summer coming to a close and school starting, an overwhelming response was received in the form of Care Packages for young adults in our COMPASS program. Whether attending classes at local community colleges, trade schools or the University of Missouri, every young adult in COMPASS had what they needed to start the year off right, and a good beginning inevitably increases their opportunity to succeed. On behalf of each one of them, thank you for making a difference in their life! This fall is a very busy time at Drumm Farm as we march to our Century Celebration next year. On October 4, the Drumm Golf Classic, sponsored by Second Nature, shotguns into action at 9:00 AM. 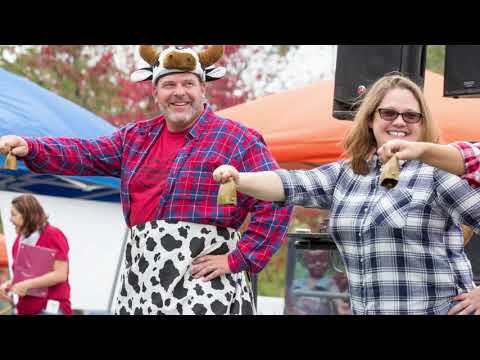 Then on October 13, the annual Drumm Farm Hoedown kicks up on the Drumm campus from 12:00 PM - 4:00 PM. Both events have sponsorship opportunities remaining. Team up with some friends in the golf tournament or pick up a family pass for the Hoedown and have a great time while supporting our mission to serve kids and young adults that have endured abuse, neglect or homelessness. Drumm Farm will be opening two new foster homes on campus in November and a new apartment complex in eastern Independence one year from now, at which time Drumm will have a housing capacity of 90 as well as an outreach program serving another 60 homeless young adults in eastern Jackson County. Our incredible growth required an engaged and talented Board of Directors and Staff, but equally it was fueled by the time, talent and treasure of so many supporters like you. Our story is both quaint and powerful: a dedicated group of individuals pulling in the same direction can significantly impact the lives of children and young adults. We are so thankful to have you a part of the Drumm Farm family! We wrapped up summer at Drumm with our annual Brainfit day camp experience. 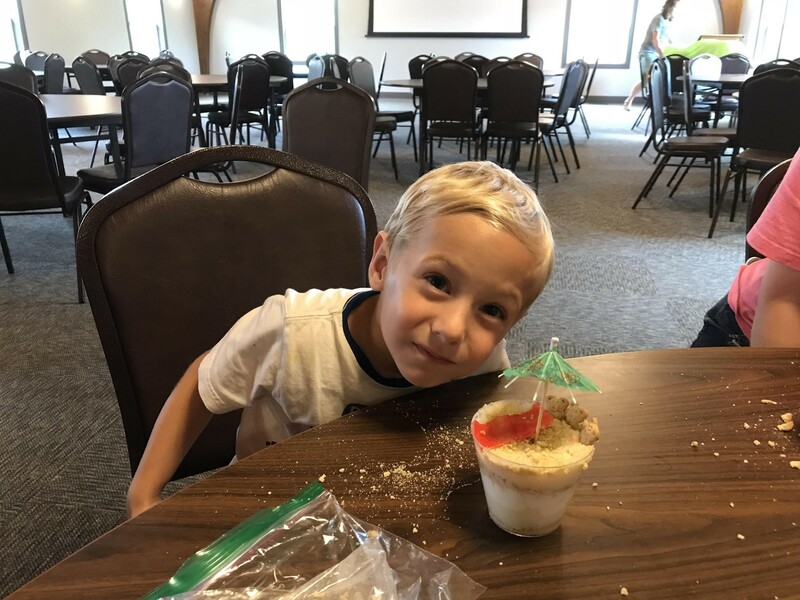 “Summer Feels” was the backdrop theme as our kids enjoyed lots of great activities, while practicing our camp principles of Stick Together, No Hurts, and Have Fun! Highlights from camp included making summer time capsules, tie-dying, weaving, cooking and playing cooperative games. We also continued the tradition this year of designing cards for our annual holiday card contest. Throughout the week the kids rehearsed several plays with humorous takes on nursery rhymes and fairy tales. 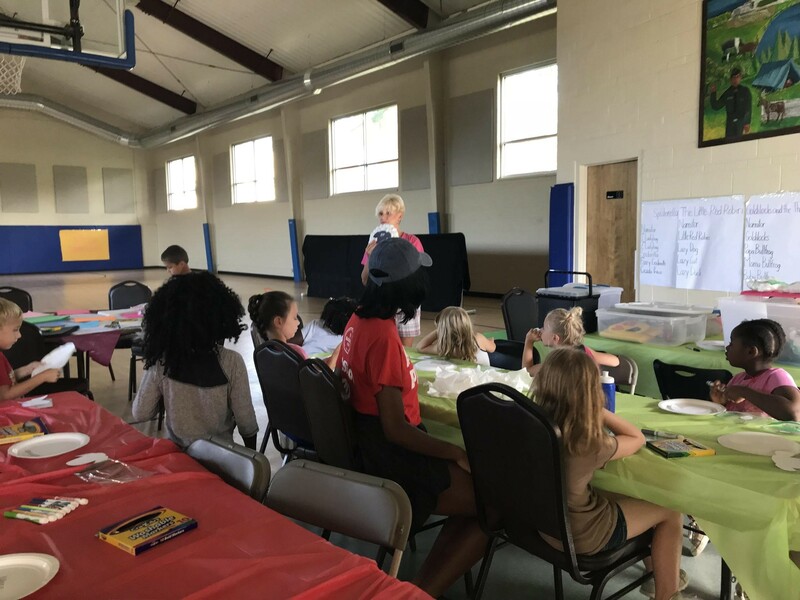 Camp ended on several exciting notes with the performances of our plays, an afternoon adventure at SkyZone in Lee’s Summit, and a back to school dinner provided by the Board of Directors. We are looking forward to continued learning adventures together in the coming year at Drumm! The Rotary Club of Eastern Independence has chosen Drumm Farm as their Charity of Choice partner for Independence Uncorked 2018! 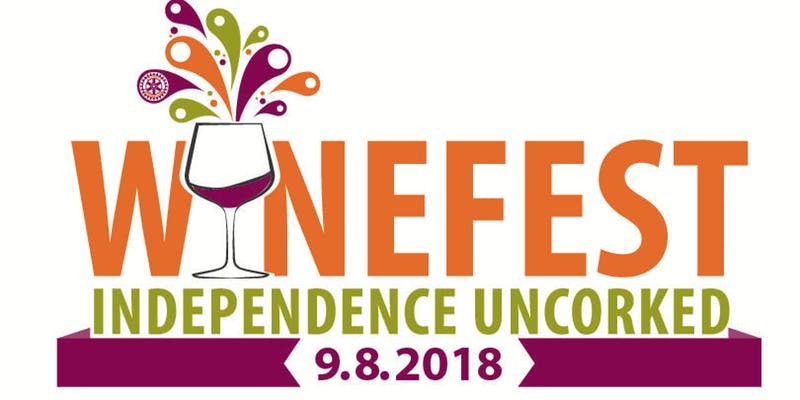 The club’s contributions from this year’s wine fest profits will support the creation of an outdoor amphitheater to extend existing learning and gathering spaces allowing children and adults alike the opportunity to connect to nature. Your ticket purchase will support this project. Drumm continues to expand capacity to provide a nurturing and safe family environment to children in the foster care system. 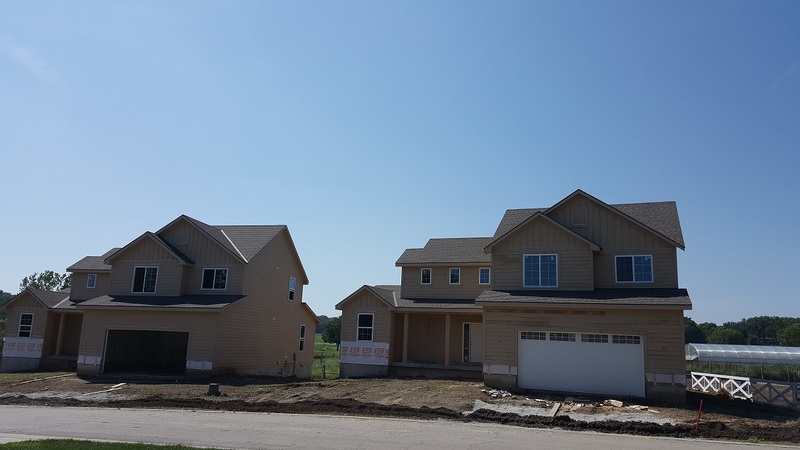 Two new single-family homes are moving closer to completion and will house an additional 10 – 12 children by late fall 2018. Drumm is actively taking applications from interested foster families who desire to relocate and partner with Drumm in creating physical stability, educational support, emotional well-being and life skills development through a variety of services and experiences. 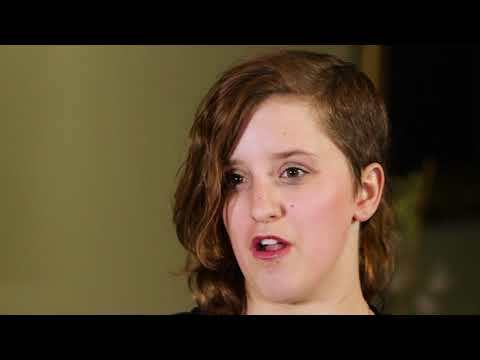 This intentional community of fostering continues to provide a place of safety, support, connectedness, and hope to children and foster parents alike. While we wish for a day where Drumm’s programs and supports will no longer be needed, we are grateful for growing the number of children who can benefit from this unique opportunity, the foster families who provide loving care, and unbelievably generous supporters who make it all possible. The next few months we will have amazing tomatoes, bell peppers, cucumbers, potatoes, turnips, radishes, lettuce, zucchini squash, yellow squash, beets, sweet peaches, red and green onions, and some beautiful cauliflower. During June, mention Drumm Beats and get 10% off your purchase. Click here for a complete list of sponsors and to view the video. On the heels of an amazingly successful “Chances of a Lifetime” Benefit Dinner, Drumm Farm is poised to expand beyond our borders. In June, a new building will open at 622 S Crysler in Independence that will house young adults that are homeless or aged out of foster care. The project, a partnership with the City of Independence, the Builders Development Corporation and Drumm, is a rehabilitation of a house more than 100 years old that had been abandoned and deemed a dangerous building. Upon completion, the 3,400 square feet will include five individual apartments and an office. 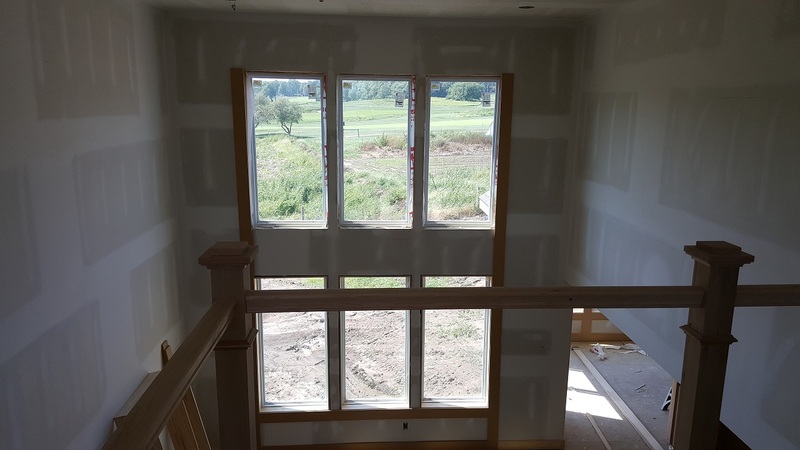 Open house is Wednesday, May 30, 2-4:00 p.m.
Drumm Farm is proud to announce that the Independence Young Matrons have awarded a grant that will secure all the furnishings for one of the five apartments at the newly remodeled site. We are so thankful for the ongoing support of IYM. *Anyone interested in furnishing all or part of the remaining four apartments can do so through Drumm’s Amazon Registry (click here). *Anyone interested in staging one of the five apartments between June 1st and June 10th can sign up to do so by contacting Lisa.Moorhouse@DrummFarm.org. 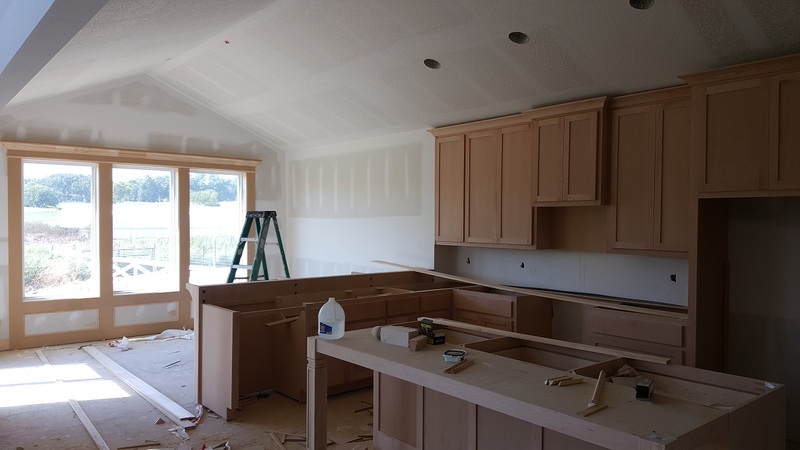 With the opening of the new site this June, the completion of two new foster homes this fall, and the expected completion of a new 9-unit facility near the Independence Center in the fall of 2019, Drumm Farm remains focused on providing HOPE and LOVE and OPPORTUNITIES to succeed to every young person we serve. We do so because it is our mission and our purpose. Our work is a tribute to our founder, Andrew Drumm. And the success of our kids is a direct result of the amazing efforts by supporters like you. Together we can change the world, one child at a time. On April 27 the Annual Benefit Dinner: A Chance of a Lifetime: Racing to the Future was enjoyed by over 350 of Drumm's closest friends. Triple Crown Sponsor Summit Homes and Breeders' Cup Sponsor Carman and Tom Duvall helped make this year's dinner the best yet! Guests enjoyed the Kentucky Derby flair including southern food and drinks, Derby Casual attire and a fashionable Derby hat contest. The evening ended with the video below showcasing some of the people who give and receive the chance of a lifetime! If you want to Create a Chance of a Lifetime click here. Please take a minute to enjoy the video. The success of our programs and our young people is a reflection of the support and friendship provided by YOU! Drumm is so thankful. Click on picture to see video from dinner. With the generous support of a grant from the Jackson County Community Children’s Services Fund and a partnership with Synergy Services and reStart, Inc., Drumm has embarked on implementing the Street Outreach Services Program. Through this new program, Drumm Farm provides trauma-informed, culturally competent support services to youth and young adults struggling with maintaining stable housing across eastern Jackson County. Drumm employs a case worker and therapist who will provide outreach in local schools, community agencies, libraries, and other community locations to conveniently offer youth an array of services and resources that will provide them with a path to securing basic needs, gaining housing stability, achieving educational and employment success, and preparing to transition to healthy, sustainable adulthood. Drumm is working in partnership with Synergy Services and reStart, Inc. to ensure youth across Jackson County have access to these vital services. Brandon Collins, Outreach Case Worker, comes to Drumm from Synergy Services. He has spent the last few years as a Case Worker in the Street Outreach Services program as well as the Transitional Living Program. Collins has an educational background in psychology and social work and has previous experience working with youth in residential treatment and educational settings. Abhi Dutt, Outreach Therapist, comes to Drumm from Catholic Charities where he coached youth in a Financial Empowerment program. Abhi’s educational background is in counseling psychology and music and he has several years of experience in a broad array of community services and volunteer coordination capacities. Drumm Farm Market will remain open Saturdays, 8am-12pm. Besides produce, apple cider, jams and jellies, fresh breads and cinnamon rolls, pork, lamb, and of course eggs, we will be selling turkeys and hams for the holidays. Contact Ray Blackman at 816.547.3360 to order. Support Drumm Farm through tax credit donations. For more information CLICK HERE. Whether you're shopping for yourself, your family or Drumm, please consider using amazonsmile. Yes, you use the same account on Amazon.com and AmazonSmile. Your shopping cart, Wish List, wedding or baby registry, and other account settings are also the same. The AmazonSmile Foundation will donate 0.5% of the purchase price from your eligible AmazonSmile purchases to Drumm Center for Children. Click here to start shopping and thank you in advance for your generous spirit! The COMPASS program at Drumm Farm serves young adults who are homeless or aged out of foster care ages 17-22 with six apartments on the campus. Following the holiday season, a new location will open with five additional apartments near Crysler and Winner in Independence.The donated site is the result of a partnership with the City of Independence and the Builders Development Corporation, and it doubles as a resource for young adults as well as a community improvement effort. Additionally, Drumm Farm was recently donated 3.6 acres near the Independence Center Mall for the construction of a 10 unit facility that will also serve the COMPASS program. We are pleased to share that Drumm Farm was approved for a $300,000 Federal Home Loan Bank grant for the project. Combined with Missouri AHAP Tax Credits, a low interest loan from Mutual of Omaha Bank and a grant from the Goppert Foundation, construction of the new building should begin in 2018. 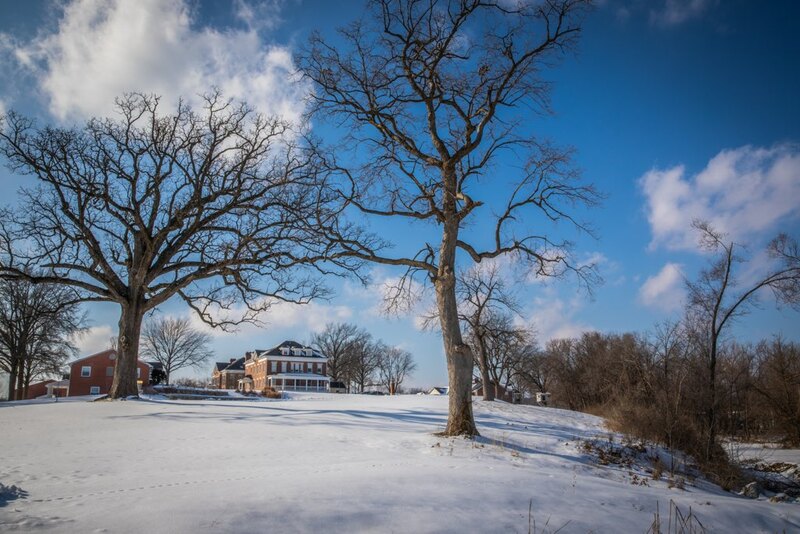 In 2019, Drumm Farm will have increased capacity to serve 20 young adults who are homeless or aged out of foster care. You can be a part of our efforts: donations or donations for Missouri AHAP Tax Credits would assist in the construction phase. You can help us "Furnish the Future" by donating or purchasing items to outfit new apartments. A shopping list on Amazon has been created as a guideline for the items needed. May you and your family have a blessed holiday season. Crossroads Golf Classic, City Slickers Hoe Down, Three Trails Tractor Cruise, and Drumm Days - there was something for everyone this fall. Because of the generosity of many sponsors including Crossroads Financial, NorthPoint Development, Pete and Elizabeth Anderson, and Three Trails Tractor Club, over $200,000 was raised to support services for our kids. Our sponsors, guests and participants are making a difference in the lives of children and we are SO THANKFUL! For many years now the generosity of the employees of Olsson Associates has helped make the holidays extra special for our kids by buying gifts for all of them!! If you would like to help during the holidays, we have young adults to adopt for Christmas and family wish lists too. Contact Lisa.Moorhouse@drummfarm.org to see how you can help. Drumm Farm Market will remain open Saturdays, 8am-12pm. Besides produce, apple cider, jams and jellies, fresh breads and cinnamon rolls, pork, lamb, and of course eggs, we will be selling turkeys and hams for the holidays. Contact Ray Blackman at 816.547.3360 to reserve yours now! Late this year Drumm Farm will break ground on two new homes for children as well as open a new off-campus facility for five young adults who have aged out of foster care or are homeless, bringing our total census to 75 young people. Drumm Farm recently received a donation of land near the Independence Center. The new location is targeted for the development of up to 20 residences for young adults. The “teen homelessness” population, sometimes referred to as unaccompanied youth, is predominantly the result of disruptive family conditions including trauma, physical abuse, sexual abuse, mental health or substance abuse issues within a family, and/or parental neglect. More than 70% of young adults experiencing teen homelessness have suffered from physical or sexual abuse and more than 60% suffer from depression. Nationally the high school drop rate of homeless teens exceeds 75%. Drumm Farm is committed to serve 17-22 year olds by specifically working with local school districts and others to identify young adults that are still in school by no decree but their own initiative. By providing housing, educational support, mental health services, job training/employment and essential life skills, the goal of Drumm’s COMPASS program is to provide an opportunity for young people to become productive and independent adults. If you are interested in contributing in any way, please email Lisa.Moorhouse@drummfarm.org or call the office at 816-373-3434. Click on picture below for quick video! You are invited to join the friendly folks from Northpoint Development and Pete & Elizabeth Anderson on Saturday, October 14th at the 4th Annual City Slickers Hoe Down benefiting Drumm Farm Center for Children, Variety The Children’s Charity, Water4 and Hillcrest Platte County. BBQ, mechanical bull, caricature artists, kids activities, pony rides, live music, line dancing, face painting, petting zoo, tractor rides and much more!!! Everyone is invited! Please buy your tickets today for a root hootin' good time! If you are interested in volunteering click here! Imagine shopping for over 50 kids! The six families living at Drumm will be doing just that in the next couple of months, and they could use your help! Or maybe you'd like to buy gifts for the young adults in our growing COMPASS program? If you or your business are interested in helping out, please email Lisa.Moorhouse@drummfarm.org and thank you in advance for your generous spirit! This month we have amazing tomatoes, bell peppers, cucumbers, potatoes, turnips, radishes, lettuce, zucchini squash, yellow squash, beets, sweet peaches, red and green onions, and some beautiful cauliflower. We also have a variety of meats including pork, lamb, and goat, and don't forget the eggs! Drumm Farm recently held a job fair for campus jobs on our farm, in our kitchen and at our market. More than 20 young people filled out applications and had individual interviews with the Farm Manager, Market Coordinator and Food Service Director. Andrew Drumm believed that young people who learn and embrace work ethic have the ability to overcome whatever challenges they face. Today young people on our campus experience work through service projects, chores, farming, retail sales, and food service, learning basic values including punctuality, diligence, trustworthiness, manners, and so much more. 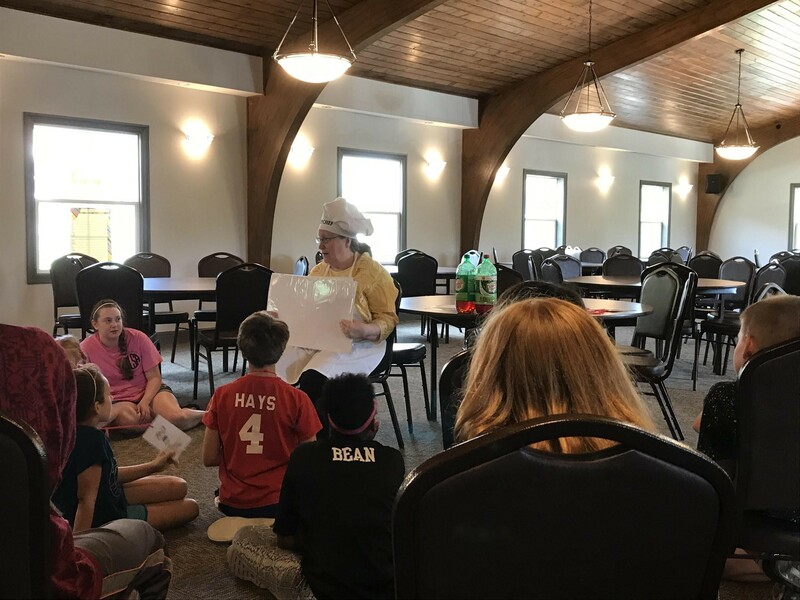 Recently the remodel and transformation of the former dining hall into the H. R. Nelson Hall for Counseling and Education has grown our ability to serve an increasing population of young people living at or associated with Drumm Farm. The lower level of the building includes space for educational and counseling services while the upstairs banquet room and commercial kitchen allows us to have space for our community to gather for celebrations and services. Nelson Hall has garnered a great deal of attention for those looking to rent space for their events. Several professional and civic groups have booked or are considering Drumm as their event location. We are using this interest to increase opportunities for young people to learn and experience working in food service. Nelson Hall accommodates up to 150 people and is a fantastic space to hold small weddings, business meetings, training sessions and more. "Your Event, Our Success" is the mantra for Nelson Hall as we provide a space for special memories while giving our young people the values needed for a successful life. 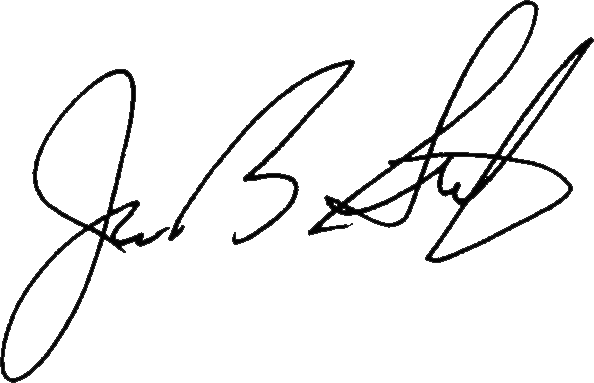 I was born in Kansas City, Missouri, and my life truly began in 1954 when I was accepted to the Andrew Drumm Institute following a two year waiting period. I wouldn't trade the seven and a half years of growing up at Drumm for any amount of money. The wonderful staff at Drumm took a very angry child and turned him into a young man that was ready to go out and face the world and be a self-sufficient and productive citizen. I feel so blessed to be able to return to my childhood home and join a dedicated staff to give back the same support to a group of children that is currently facing the same challenges that I faced as a youth. It provides me the opportunity to share my life experience and to let the children know that I have walked a mile in their shoes. The majority of my life has been spent in the restaurant industry beginning as a pot and pan washer at Stephenson's Apple Farm restaurant. I have worked in the restaurant industry throughout my career and am excited to share my experiences with young people so that they will be prepared to work in one of the largest industries in the world. I feel grateful to be giving back to my childhood home. On April 28 the Annual Benefit Dinner: Drumm Bridges, Connecting Promise & Progress was enjoyed by over 350 of Drumm's closest friends. 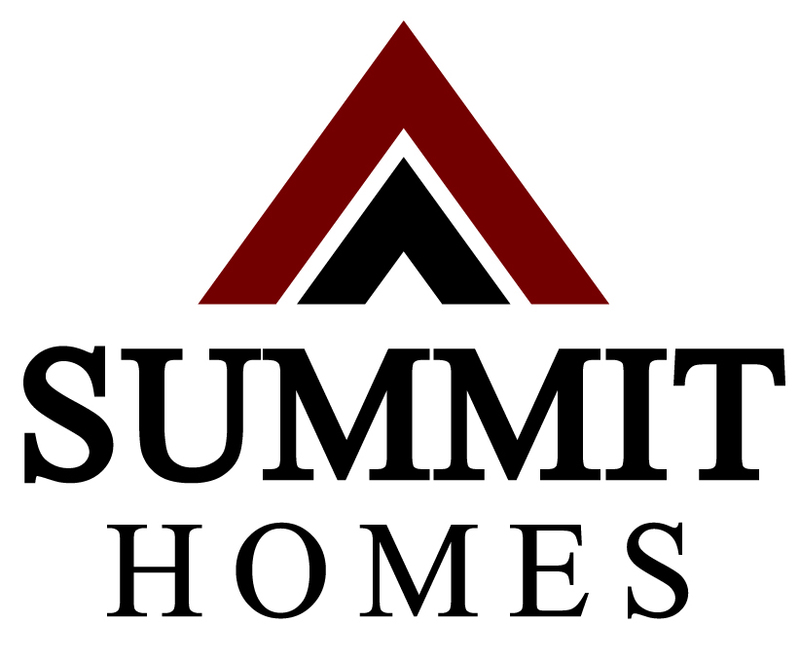 Title and Presenting Sponsors Summit Homes and Carman and Tom Duvall helped make this year's dinner the best yet! Guests enjoyed food, drinks, and auctions and were introduced to three young people who shared their stories about the impact of living at Drumm. The evening ended with the video above showcasing the COMPASS program. Please take a minute to enjoy it. The success of our programs and our young people is a reflection of the support and friendship provided us by YOU! Thank you. Drumm Farm is excited to begin the process of upgrading our data collection, tracking and reporting system through a nationally recognized software called Apricot. 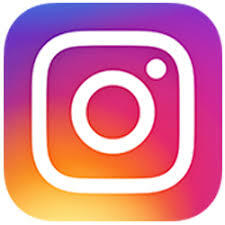 Apricot is a secure and flexible software solution that offers real-time access to data through a secure internet connection. Drumm will be able to use the improved reporting to attract, acquire, and maintain new and existing funding necessary for organizational success. Drumm will also be able to evaluate the effectiveness of programming that is provided on the campus. This opportunity was made possible by a $33,000 grant from the Health Care Foundation of Greater Kansas City with technical support from the Local Investment Commission (LINC). Drumm Farm is extremely grateful to our community partners that support our efforts to constantly improve our capacity to serve children and young adults. 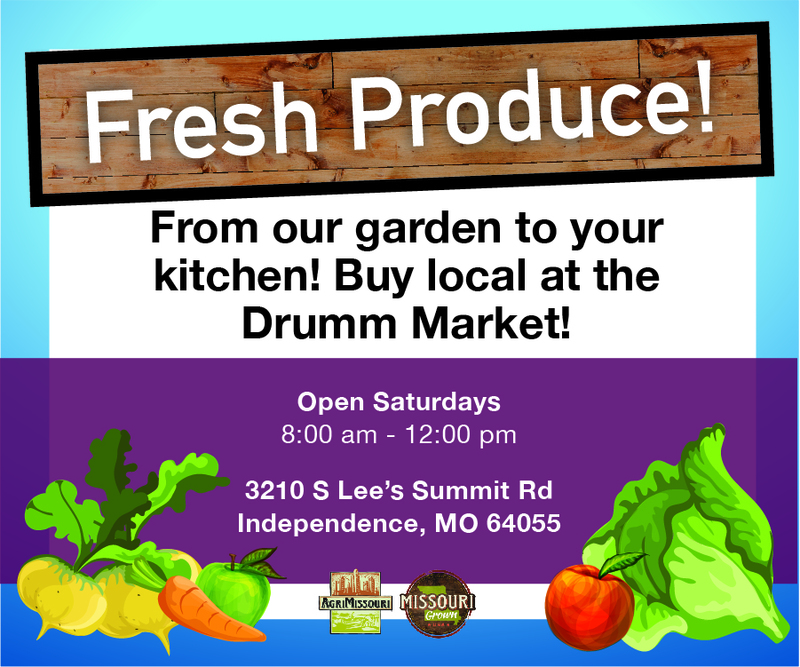 Drumm Farm Market is open year round on Saturdays, 8am-12pm. We have produce, apple cider, jams and jellies, fresh breads and cinnamon rolls, pork, lamb, and of course eggs! Our newest family is in need of twin beds and bedding, adult-size work boots for their older children and large storage containers. Please call the office if you have items to donate. Shan Long-Moore has joined the Drumm staff as our Clinical Director and Jason Rogers is now our COMPASS Coordinator, huge additions to the Drumm team. The remodel and expansion of H. R. Nelson Hall for Counseling and Education is nearing completion. Almost $600,000 was donated for the addition of two new homes on campus, construction slated to begin in July. The City of Independence and Builder's Development Corporation are working to help Drumm open COMPASS apartments near the city square. Cell phone towers have been popping up in Independence. Drumm is so thankful to Mayor Eileen Weir, Representative Rory Rowland, and City staff for their efforts to get answers and action. Drumm Farm is bustling with activity in preparation for this year's benefit dinner, "Drumm Bridges, Connecting Promise and Progress". And early spring means baby lambs and goats have arrived at Drumm! Shan recieved her Master in Counseling and Education from UMKC in 2004 and is a Licensed Professional Counselor. Shan has extensive experience working with diverse dually diagnosed clients in a variety of setting ranging in age from 3 to 65. Additionally she has provided support and guidance to couples, individuals and families who have experienced trauma, eating disorders, sexual misconduct, autism, bereavement, depression, self-esteem and attachment issues. Treatment approaches are an eclectic array of modalities including but not limited to CBT, SFT, MI, TFT, FST and humor. Shan combines her respect for people with a strengths-based approach to assist clients in gaining more insight and achieving their goals in a caring and supportive manner. Jason comes to Drumm Farm from Cornerstones of Care. Born and raised in Kansas City, MO, Jason has enthusiastically worked in the social work field for 11 years. When Jason is not providing services for Drumm Farm's young adults, he enjoys spending time with his wife and four children, reading, and watching sports. Drumm is expanding the COMPASS program (independent living for young adults who have aged out of foster care or are homeless) by partnering with Builder’s Development Corporation (BDC), a local nonprofit community development organization, to rehabilitate a vacant and abandoned property at 622 S. Crysler Ave., Independence. It will become a place of hope and opportunity for young people striving to become successful adults. Drumm and BDC plan to use the current structure to create a 5-unit facility that will house COMPASS participants working to further their dreams through college or career training. Drumm will provide regular monitoring of the property through a full-time social worker who will meet weekly with each resident to ensure they are moving toward the accomplishment of their goals. These young adults will be offered educational and therapeutic support services as well. We are currently seeking financial support to fulfill the funding requirement needed to complete the rehabilitation of the building. Drumm will be seeking lightly used furniture donations to help these young people have what they need to be comfortable and successful. If you are interested in helping in any way, please contact Associate Director, John Tramel. Recently I spoke to a young couple exploring the possibility of fostering children. As I listened to their hopes and dreams of being a family to children in need, it provided me a much needed respite from the social media rancor that seems to overwhelm our thoughts and dampen our spirits. Right in front of me was a young couple considering the most selfless of acts: providing a home to children in need, a course of action fraught with so many unknowns for themselves. They reminded me that hope and service to those in need still thrives above the noise that can sometimes be so distracting. In my 2016 Drumm Benefit Dinner speech, I asked for your help. If you would "talk about fostering with two or three people, and ask them to talk about fostering with two or three people, we would cause a conversation among thousands." I hope you have found the time to have those conversations about fostering as more than 3,000 metropolitan area children are in care. We need that young couple and so many more because the message is critically important; every child deserves to be loved and every child needs a family. Click the image below to learn more about foster care. We can't thank all our generous donors enough! Each and everyone of you made the holidays special for the children at Drumm, including our young people in the Compass program (pictured below)! Olsson Associates, Toyota, The Villas, Drumm Board members, First Presbyterian Church of Independence, GEHA, House of Rocks, Kiwanas Club of Independence, Midwest Genealogy Center, Ragin' Rats Car Club, Rotary Club of Eastern Independence, State Street Corporation, The Salon in KC and many more individuals and families provided gifts and/or money. The funds helped provide a holiday dinner, a visit from Santa, a lighting ceremony, a family experience and a Season to remember. We are blessed to have so much support during the holidays and all year long. THANK YOU ALL! Drumm Farm is honored to have received the Dr. Martin Luther King, Jr. Award for Outstanding Organizational Community Service and Leadership from the Independence Human Relations Commission and the Committee of Concerned Citizens. While we greatly appreciate this recognition, we are clear that we have so much more work to do to live up to an award named in honor of Dr. King. Dr. King’s focus was to challenge the cancer of racism infiltrating our society, from individual bigotry to unjust policies and laws. 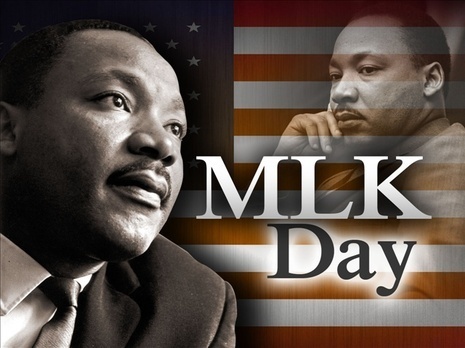 He and thousands of civil rights advocates worked courageously and tirelessly to create a society where all citizens experience freedom and justice. While Dr. King’s dream is still not fully realized, his immeasurable sacrifice has provided us the opportunity to continue the work that will lead to freedom and justice for all. 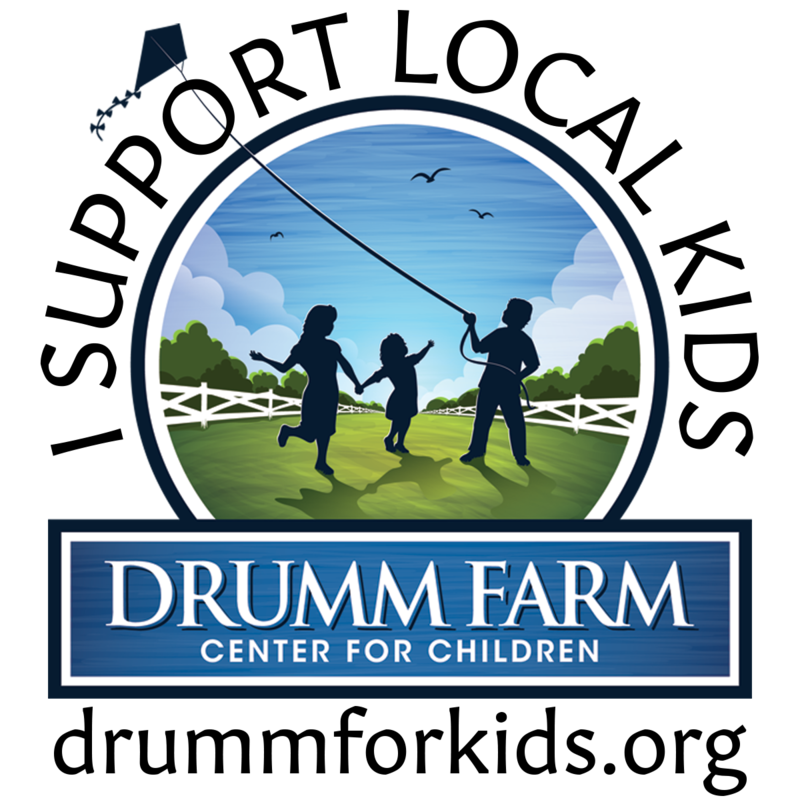 Drumm Farm in particular carries this vision forward by working to provide a healing environment for children in foster care, and a community where children are free from experiences of abuse and neglect. Child abuse and neglect is a significant and complex public health issue that affects children across race, ethnicity, socio-economics, religion, education, and beyond. Families exposed to systemic issues of social and economic inequality and/or interpersonal struggles such as addiction and mental illness face an increased risk of involvement in the child welfare system. Drumm Farm exists to combat these issues, which impede the very freedom, justice and healing that Dr. King championed. Support Drumm Farm through tax credit donations. Get more information by clicking here. This holiday season we are thankful for so many blessings. More than 70 incredible kids, six dedicated and loving couples, 11 awesome board members, hundreds of generous volunteers and donors, thousands of caring community members, and a professional and tireless staff make for a season of many thanks. We look forward to expanding our service footprint beyond the borders of Drumm in the coming years. The growth of our mission is directly connected to the quality of the individuals who support it. We thank you for being one of the people that helps provide a nurturing environment that inspires and yields life long success of children and young adults. A fall to remember: Dell EMC and Crossroads Golf Classics, City Slickers Hoe Down, Three Trails Tractor Cruise, Olsson Associates Art Show, Drumm Days and a Brew Bash. There was something for everyone this fall. Because of the generosity of many sponsors including Dell EMC, Crossroads Financial, NorthPoint Development, Pete and Elizabeth Anderson, Olsson Associates, Three Trails Tractor Club and MO Better Brews, over $200,000 was raised to support services for our kids that make a difference in their lives and we are THANKFUL TO ALL! Djemarley is a US Citizen! Djemarley came to the United States from Haiti and has been living in the Compass program for the last few years. DJ goes to school while working two jobs and is the Resident Assistant for the Compass program. He found time this summer and fall to study for his citizenship test. With the help of teachers, staff, board members, families and kids, he passed with flying red, white and blue colors. We are so proud of you Djemarley! Imagine shopping for over 50 kids! The six families living at Drumm will be doing just that in the next couple of months, and they could use your help! If you or your business are interested in helping out, please email Lisa.Moorhouse@drummfarm.org and thank you in advance for your generous spirit! On Nov. 29, 2016, join the #GivingTuesday movement by donating to Drumm Farm Center for Children. When you support children in foster care through Drumm, you are investing in the future of our kids. Your contribution means children and young adults can continue living in loving, stable family homes, receive clinical support and education support through our services. Most importantly, your donation helps young people around the globe create opportunity – for themselves, their communities and our world. Click here to donate to Drumm this #GivingTuesday, and celebrate the rest of the 2016 holiday season knowing you're helping to change lives. Drumm Farm Market is open Saturdays, 8am-12pm, and Wednesdays, 4-7pm. We have produce, apple cider, jams and jellies, fresh breads and cinnamon rolls, pork, lamb, and of course eggs! We are pleased to bring you this newsletter from our new constituent database. It is our intent to improve communications about Drumm's mission, upcoming events, and volunteer opportunities. Drumm is excited to announce recent approval of $560,000 in Missouri AHAP tax credits for the construction of a new home for children here at Drumm in the summer of 2017. This will allow us to provide housing for up to 10 additional children. For more information on tax credits, click here! October is a busy month at Drumm Farm. From golf tournaments to pumpkin patches, from tractor parades to art shows, and a giant hoedown in between, we celebrate our mission. Thank you for your ongoing support, and we hope you will consider joining us this at one of our events this month. Summers are never dull at Drumm! Our kids completed an awesome day camp experience called Brainfit this summer. Camp kicked off with a field trip to the Kansas City Zoo and concluded with an awesome afternoon of water slides and a back to school dinner provided by the Board of Directors. The week proceeding their first day of school, thirty-five kids enjoyed enrichment classes such as Fun on the Farm, Cooking to the Beat of My Own Drumm, Drumm Designers, Orienteering, Sports and Dance. The kids practiced the principles of Stick Together, No Hurts and Have Fun. Students designed cards for our annual holiday card contest and created maps of the campus for the Annual Spring Benefit Dinner. It’s going to be another great year for learning at Drumm! Drumm Farm Market is open Saturdays, 8am-12pm, and Wednesdays, 4-7pm. Come and see us! It was an amazing spring at Drumm Farm. Baby goats, baby lambs, lots of chicken eggs, major rain events, hay baling, finished new homes, two new families, lots of learning and emotional healing, kids reunified with their families or adopted to forever families, final plans for our counseling and educational center, record fundraising at the Thrive and Shine Benefit Dinner, more than 50 youth living on campus, pledges of funding for a new house in 2017, and so much more. All the result of committed supporters like you engaged by a mission to provide loving homes and quality services for children. So join us at the Drumm Farm Market soon. You will impact the lives of our kids and support our mission every time you visit. 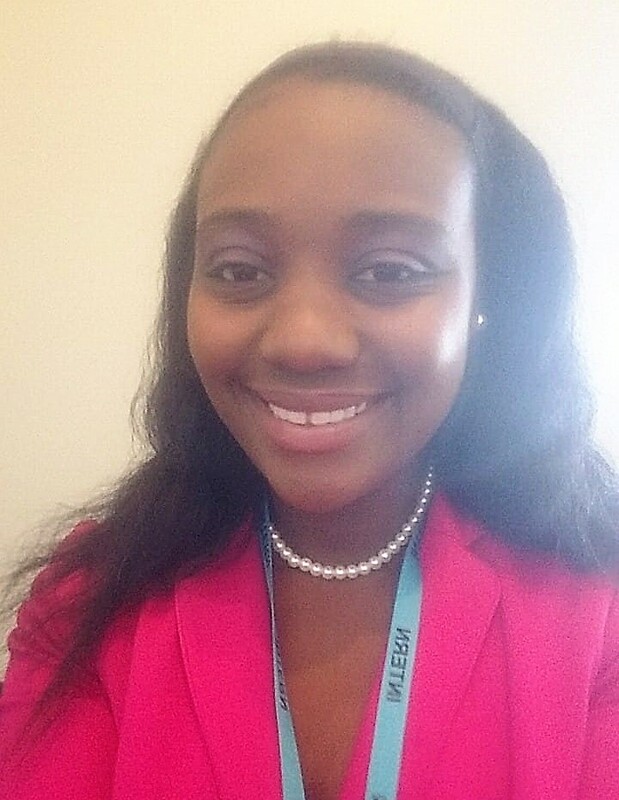 Congrats to our current intern Shantanique Tolbert for being recognized in a recent article in The Examiner! Drumm families prepare meals for anywhere from 8 to 18 people so you can imagine how much they appreciate a break once in a while! The second Thursday of every month they get that much needed break and a fun-filled evening too. 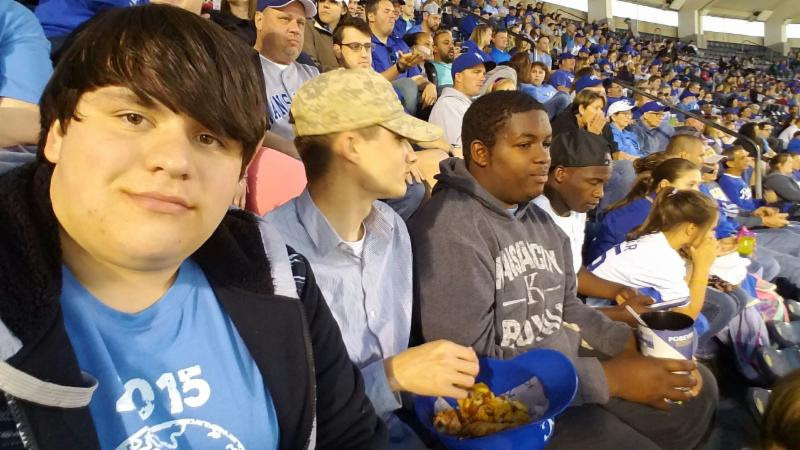 Through generous donations the boys have enjoyed several experiences including a Royals game, bowling and a night out on the Plaza. These experiences help create positive memories for the boys which connects them together for life. Thank you for your continued support! It has been an exciting spring. A new Math curriculum, called Number Worlds will be initiated for the 2016-17 school year and over the last six months students assisted in organizing all the current books in the Ray Morrison Library. Kody's Eggcellent Eggs will no longer be sold from the administrative offices beginning Wednesday, July 6th. Stop by the market on Wednesday evenings and Saturday mornings to get your eggs! Drumm families prepare meals each day for anywhere from 8 to 18 people. So, you can imagine how much they appreciate a break once in a while! The second Thursday of every month they get that much needed break and a fun-filled evening too! Many individuals and organizations volunteer to provide that meal. Thanks to Eastern Independence Rotary, Junior Service League of Independence, PEO - The Villas, Colbern Road Restoration Branch, Olsson Associates, L.E.A.D. - Independence Chamber of Commerce and many more! 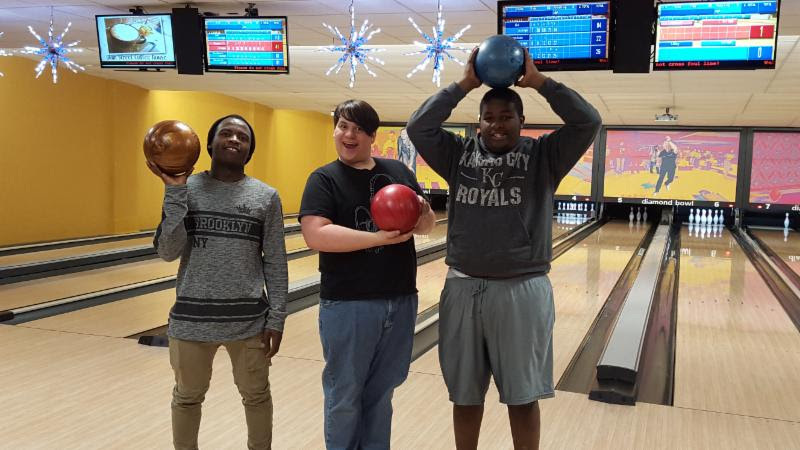 The COMPASS Program and residents are in full summer mode with the boys attending classes and working while trying to find time for fun summer activities to participate in throughout the community. Djemarley is taking a summer course at Penn Valley and working three jobs while studying for his citizenship test. Shaquan is working full time on the farm planting and harvesting delicious produce for the Market. 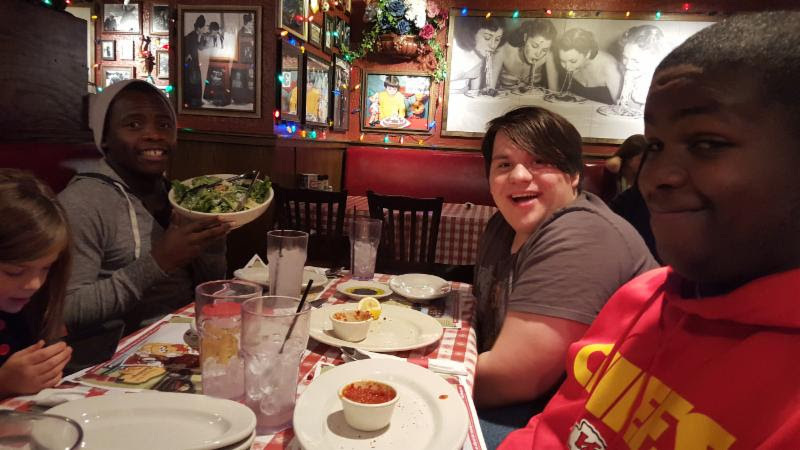 Dakota is performing at Comedy City, preparing for his role in the Music Man with Raytown Performing Arts Council and working. Michael is working full time and in the process of enrolling in the Police Academy at Blue River. Drumm welcomed a new resident, Zabdiel, in May who is attending summer school and working on the farm. Every Monday evening Compass comes together as a group to connect with each other and the community. 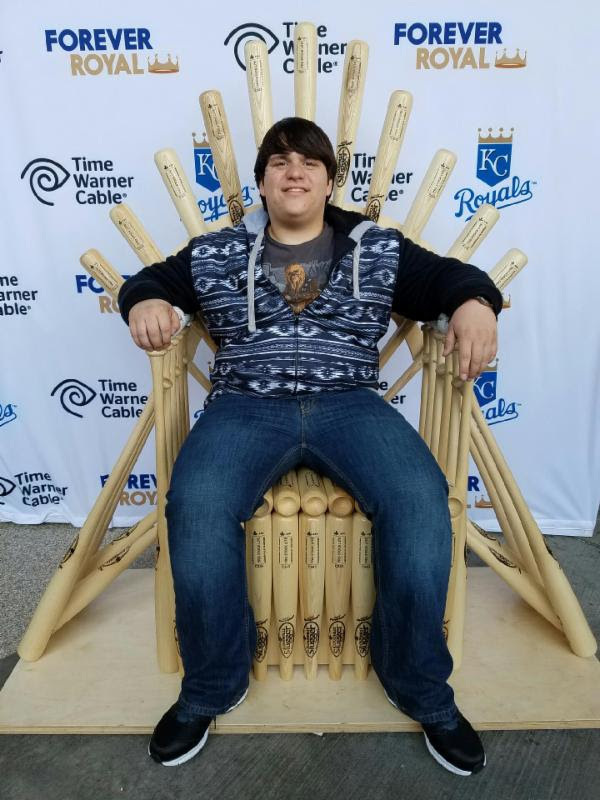 Through generous donations the boys have enjoyed several experiences including a Royals game, bowling and a night out on the Plaza (two had never been to the Plaza). These experiences help create positive memories for the boys which connects them together for life. If you would like to help provide an experience for the Compass boys, please contact Libby Hernandez at Libby.Hernandez@DrummFarm.org or call 816-373-3434. The boys' wish list includes: Worlds of Fun, paint ball with Brad, movies, Cool Crest and attending a Sporting KC game. t has been an exciting spring. A new Math curriculum, called Number Worlds will be initiated for the 2016-17 school year. 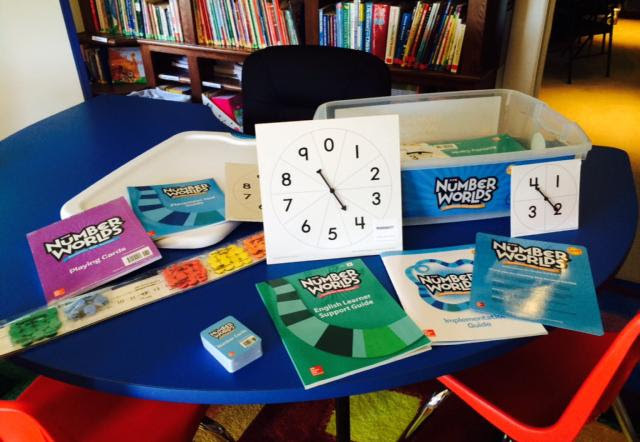 Number Worlds offers math manipulatives, print and software material to support math concept learning. Over the last six months students assisted in organizing all the current books in the Ray Morrison Library. Library books were organized by genre, fiction and non-fiction, plus reading level for students. Parent and teacher resources were also categorized. This project took several weekends to complete. Reading curriculum was purchased to support our menu of resources for fluency, comprehension and independent reading. 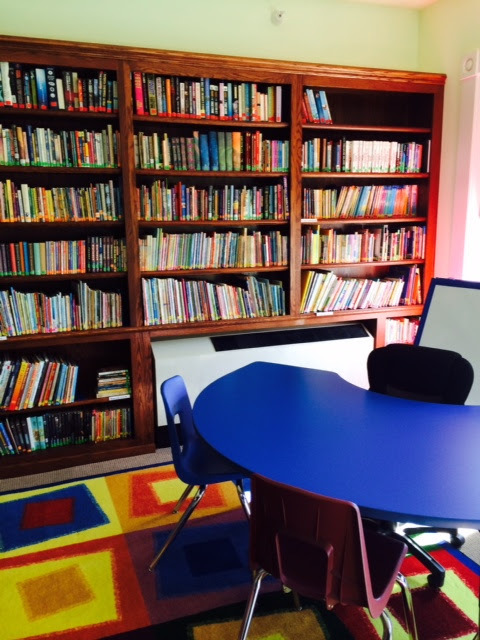 Highlighting the library project was a grant from the Independence Young Matrons for new furniture in the library. The library is a hub for meetings and lessons for students. More than 700 instructional service hours were provided to students at Drumm during the 2015-16 school year. 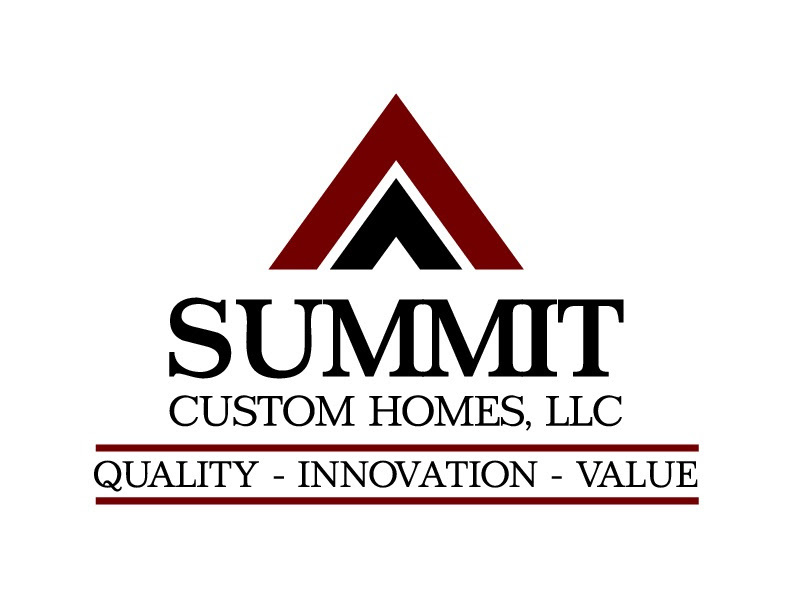 Thank you to this year's dinner sponsors: Summit Custom Homes and Carman and Tom Duvall.